I’m currently, and have been sick with a cold/flu for a little over a week now, and after hearing the interview on Eqafe titled: ‘Life Review – My relationship with Mourning’, I now have a clearer understanding of how the memory of my brother and sister – who both passed away within the past six months – how the memory of them and their sudden death, is having an affect on my physical body. I’ve been avoiding looking closer at the point because when I do, it’s painful. When I say painful, I’m referring to an overwhelming urge to cry, and, I ‘feel’ slightly lost within myself since their death and the death of my mom 11 years ago because, I ‘feel’ like I’ve lost the family members I was once the closest to. In common sense, I know the ‘feelings’ aren’t real, and during the day, I have no problem breathing through the point. However, in the middle of the night, every night, if I wake up to go to the bathroom or to get a drink of water, that’s when my mind will bombard me with what I call ‘midnight memories‘, (a design of the mind consciousness system) – which consist of reliving the events/experience/fears circling within me of both their deaths. Then, yesterday, I was notified of the autopsy results as to how my sister died, and that added anger to the fuel of the already formed memory constructs. I begin here in gentleness and patience with myself to release the memories and their in-flu-ence through self-forgiveness. I forgive myself that I have accepted and allowed my mind to use me. I forgive myself that I have accepted and allowed me as my physical body to be influenced by the death of my younger sister and brother who I always ‘felt’ were my responsibility to care for and protect and thus ‘feel’ guilty about their death. I forgive myself that I have accepted and allowed myself to be angry for how my sister died in her abuse to/towards her physical body. I forgive myself that I have accepted and allowed myself to be angry to/towards my brother for the abuse he manifested/created and accumulated within and as his physical body. I forgive myself that I have accepted and allowed myself to fear a similar death as my mother and my brother. I forgive myself that I have accepted and allowed myself to be angry to/towards myself for the abuse and accumulated affects of taking for granted me as my physical body. I forgive myself that I have accepted and allowed the memory constructs of the death of my sister and brother to swell up within the center of my being where all I want to do is sit and cry, but which is manifesting illness and influence against and within me as my physical body. I forgive myself that I have accepted and allowed myself to be directed, influenced and controlled by the mind as consciousness. I forgive myself that I have accepted and allowed myself to exist in and as knowledge and information through a common sense understanding of life and death but used that against myself in that I accepted and allowed myself to engage it into a state of inner suppression, hence the in-flu-ence the memories have retained within me like a prisoner in custody. I forgive myself that I have accepted and allowed myself to feel ashamed about myself to be mourning the loss of my brother and sister, because I ‘thought’ in my state of ‘knowledge and information’, that I was better than that causing the affect of my dishonesty to build into and as a physical affect within and as me as my physical body. I forgive myself that I have accepted and allowed myself to have an only understanding (knowledge) of what it means/entails to breathe and walk this point through — only speaking it and not living it as who I am. I forgive myself that I haven’t accepted and allowed myself to realize that the hate I experience towards the system is actually the anger and frustration I experience towards me, because I have accepted and allowed this experience within me and I did not stop it. I forgive myself that I have accepted and allowed anger and frustration within me through me believing and/or thinking that I am powerless in the face of the system as my mind of emotions and thoughts as grief and mourning. 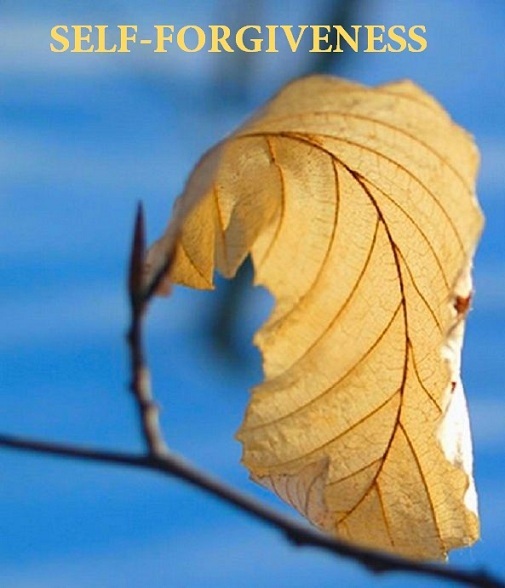 I forgive myself that I haven’t allowed myself to realize that abuse exist within self through accepting and allowing myself to be abused by the mind and because I accept / allow abuse within me – I accept / allow abuse within the rest of the world as me. I forgive myself that I have accepted and allowed myself to be ashamed of myself within what I see this point to be, which is self-interest. I commit myself to realize that I am simplicity. I commit myself to walking the point of my relationship with mourning through to release through self-forgiveness in self-honesty. This entry was posted on May 22, 2012, in Uncategorized and tagged 'fear of loss', brother, child, children, death, death of a sibling, Desteni, Eqafe, Equal Money, fear of death, guilt, love, mother's guilt, mourning, sister, under the influence. I laid down to get some rest and my mind began to rehash the past weeks events leading up to the death of my brother. I forgive myself that I’ve accepted and allowed myself to for a moment relive the details and decisions made regarding my brothers treatment as if there is or was something different that could have saved his life. I forgive myself that I have accepted and allowed myself to recap and replay pictures in my mind of how sick and frail my brother looked before he died and I forgive the feeling in my gut that’s like an emptiness within me that can never be filled. I forgive myself that I have accepted and allowed myself to cry over the last words my brother said to my step dad before he was put into a coma which was ‘daddy I don’t want to die’. I fogive myself that I’ve accepted and allowed myself to for my whole life act as the protector of my baby brother and even now I feel angry at death and I see how the pattern as the older sister still wants to hang on for it’s life. I stop. I breathe. Till here no further. I forgive myself that I have accepted and allowed myself to feel disappointed in myself for participating in and as grief. I forgive myself that I have accepted and allowed myself to not trust my tears in this moment because I don’t trust who I am as them. I forgive myself that I’ve accepted and allowed myself to hold onto a point of denial within me that I sense has been a false sense of security. I forgive myself that I’ve accepted and allowed myself to feel anger toward the messages posted to my brothers face book wall telling him to say hi to my mom and my sister in heaven and I forgive myself for the tears swelling up from within me as I just typed the words ‘to say hi to my mom and sister in heaven’. I forgive myself that I’ve accepted and allowed myself to be angry at the messages on my brothers face book wall saying that now God has a new angel and I forgive myself that I want to write back to them to stop spreading their nonsense on my dead brothers face book wall which only serves to make themselves feel better and that their words are really only trashing up our world with more deception. I stop. I breathe. I forgive myself that I have accepted and allowed myself to believe that I can serve to protect my baby brother from life’s harm when in fact the only way that I can assist anyone in any way is to first assist myself in stopping me as my mind and directing myself in self-honesty as my mind and to continue to stand in support of an Equal Money system so that all life will cease in its suffering. I realize and understand that my mind as consciousness is designed to react to the death of a sibling according to a specific pattern and in the moment that I participate in the thought and the emotion is the moment I become manipulated and controlled in the deadly design of and as a mind consciousness system. I stop. I breath. I forgive and release and redesign myself according to a principle of Equality. I realize, see and understand that it is only myself that I’m reacting to and that there is no one to blame or to be angry with and that I alone am responsible for what I accept and allow and be and become within my life and this world. I choose to walk in self-honesty and face myself and what I’ve accepted and allowed within this world, and stand in support for and as all life that all life may live in dignity as all as one as equal.